With fall officially here, the days are rapidly running out for much of the country to put the top down and enjoy a convertible. 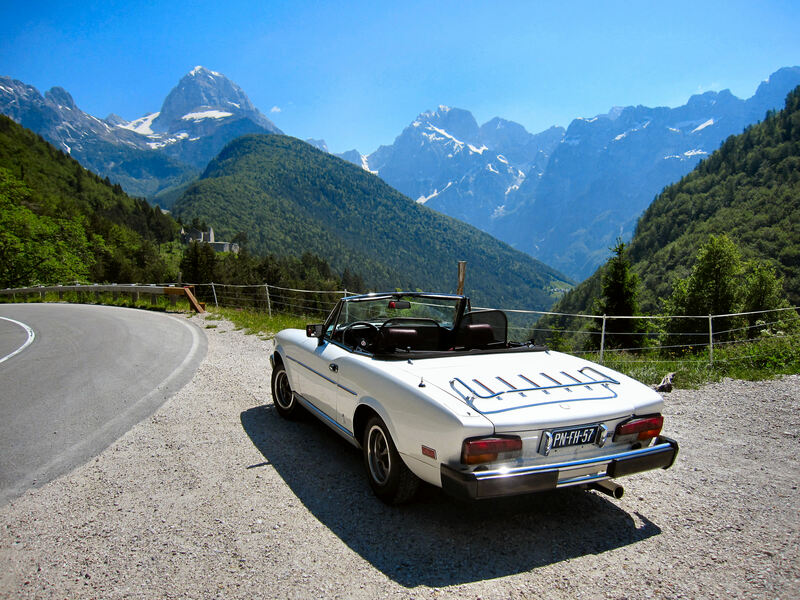 Fiat apparently wants to take advantage of the good weather while it lasts, given these fresh spy shots of the 124 Spider testing with the roof down. In terms of styling, these photos show the droptop with an extremely similar look to the ones from July. The roadster still appears to have rounded headlights and a wide grille up front, which the kidney-shaped cladding does nothing to hide. The hood bulge continues to be there, too, and so is the spiderweb-pattern camouflage. However, these new shots let us check out the roll hoops that are visible with the top out of the way, and we even get to see the manual roof in operation. Also, note there are now dual exhausts at the rear, rather than the quad tips from before. Underneath all this camo and cladding, we know that the 124 Spider shares underpinnings with the new Mazda MX-5 Miata. The engine remains a mystery, but competing rumors suggest the 1.4-liter turbocharged four-cylinder from the current 500 Abarth or the 1.7-liter turbo four from the Alfa Romeo 4C. Thankfully, an answer might not be too far away because the roadster is mooted to debut this year, possibly at the Los Angeles Auto Show in November. With the latest Miata receiving high praise from critics, the motoring world soon gets to find out whether Fiat can find any room for improvement.